Officially reissued on vinyl for the very first time, this is an impressive progressive album from 1970, recorded in LA by Nicholas Greenwood (Crazy World Of Arthur Brown, Khan) with members of the Mothers Of Inventions and Fleurs De Lys. This edition is limited to 500 copies including background notes. 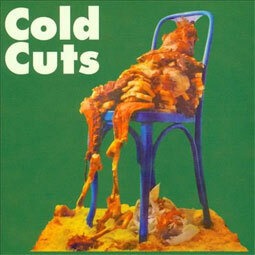 Original copies of 'Cold Cuts' change hands for mega-bucks, so don't sleep on this version!